The 27th anniversary of the Hillsborough Disaster will be commemorated tomorrow at Anfield, the home of Liverpool Football Club. 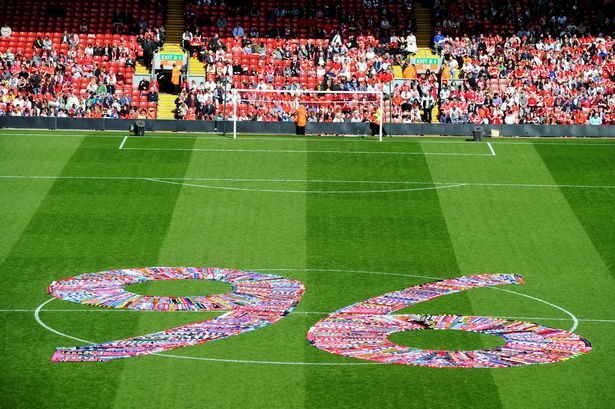 “Tomorrow will see the last memorial service held at Anfield to pay tribute to the 96 Liverpool fans who died following the disaster at the FA Cup semi-final on April 15, 1989. The memorial service at Anfield will begin at 2.45pm, but those wishing to attend the event had to apply for tickets by March 31. Those without tickets for the service at the stadium will be able to pay their respects across Liverpool. The anniversary, which comes as the jury in the Hillsborough inquests are considering their conclusions, will be marked with a minute’s silence at 3.06pm – the time the match was stopped. Public transport is expected to come to a halt for the minute’s silence. The Mersey Ferry will sound its horn and the barriers will be lowered at the Mersey tunnels for one minute. Flags on civic buildings will be flown at half mast and bells at the town hall, Municipal Building and Liverpool Metropolitan Cathedral will be rung 96 times. People will be able to gather to pay their respects on Exchange Flags. The Hillsborough Justice Campaign is inviting people to gather at the Hillsborough monument at the bottom of St John’s Gardens from 2.30pm. National Museums Liverpool venues will also take part in the minute’s silence and the Museum of Liverpool will display the number 96 in three metre-high figures near the front entrance. Prayers will be read at the Anglican Cathedral ahead of the minute’s silence. Shops in Liverpool ONE and in the Business Improvement District have been asked to observe the silence and a team from Liverpool ONE will gather on the steps near the LFC store just before 3.06pm. 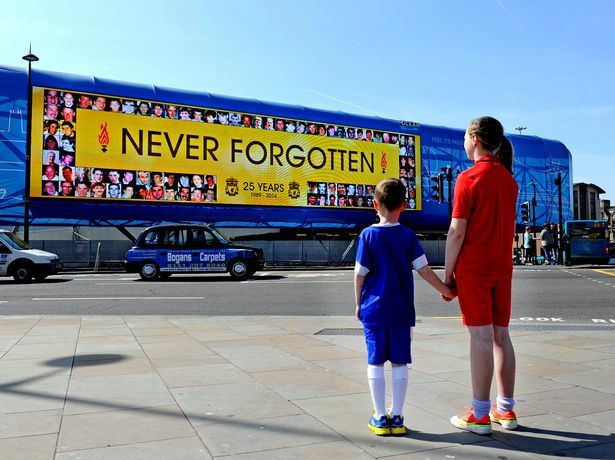 The Lord Mayor Cllr Tony Concepcion, said: “Hillsborough was a tragedy which must never be forgotten and it is appropriate that the city marks the anniversary in this way. As part of my humble contribution to the paying of respect, I will not be publishing FavFotoFriday here tomorrow or anything else.